Life as usual has been extremely hectic lately. If it's not something to do with work, the girls, or the grandkids, then it's got something to do with someone getting sick. This week it's China, she is once again in the hospital dealing with the gallbladder issue that has sent us to this same hospital before. Life is just crazy, and as I am fond of telling you all, you need to learn to deal with it. Even though she is in the hospital, the rest of life is going on. Sammy still has to be sent to school every morning, the other kids have to be dropped off and I have a ton of work to complete. On top of all that good stuff, my house still needs cleaning! Like yesterday when I got home for quick break, the entire kitchen and floor where so disgusting because the plumber had finally showed up to fix the pipe that had been leaking for two weeks. What is it about plumber's being so darn messy? Instead of coming home to relax for a little while, we ended up having to deal with a messy kitchen. But being a team (of three at that moment) we knocked that kitchen out quickly and I had enough time to grab a napppie nappie before heading out the door again. The trick to dealing with a dirty kitchen for me is pretty much the same as how to deal with a crazy, hectic life: be a great multi-tasker. And as a great multi-tasker, I look for products that will also multi-task and help me deal with life's little (or big) messes. The Palmolive brand is old school in my house, my mom used and still uses Palmolive as her numero Uno in the kitchen. It's great at dealing with grease which is common in our cooking and it leaves los trastes feeling clean and sparkling. But did you know there is a new Palmolive detergent? Palmolive® Multi-Surface Dish Soap brings all of the scrubbing and grease fighting power from before, but now it is a multi-tasker, just like me! Palmolive® Multi Surface eliminates 99.9% of bacteria (*staphylococcus aureus, Salmonella enterica and E. coli ((157:H7)) from dishes and hard non porous kitchen surfaces. After doing the dishes, just soap up your sponge and scrub all the counters and stove, quickly and efficiently. I love a product that helps me save time, space and money. Like my mom says: "Para una cocina muy limpia, hay que usar Palmolive." 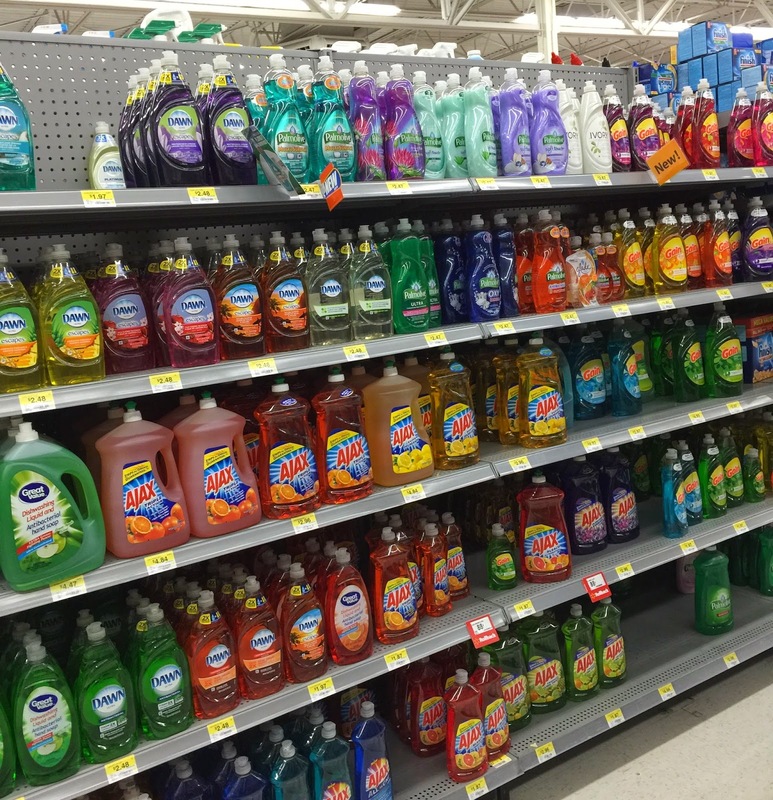 Find this new Palmolive® Multi-Surface Dish Soap at Walmart.